EFF leader Julius Malema has apologised to the ANC after a video of his supporters were seen tearing posters of the ANC. This came after ANC head of campaigns Fikile Mbalula posted the video which had since gone viral showing the two men destroying ANC posters posted on a wall. The unruly men later charges at ANC members who were standing nearby. The EFF also apologised in a post on Twitter. It said it had taken note of a circulating video of EFF members removing the ANC's posters and "categorically condemn" the actions and would take the necessary steps against its members. "We apologise to the ANC and pledge our commitment to a free and fair democratic contestation of these elections," the EFF tweeted. Mbalula acknowledged Malema's response and wrote "spirit" accompanied by emoticons signalling peace. The two former ANC Youth League members have always informed the public that they remain friends despite Malema being on the opposition bench. Many Twitter users applauded Malema for his swift response and for showing leadership, by responding and apologising to the governing party. 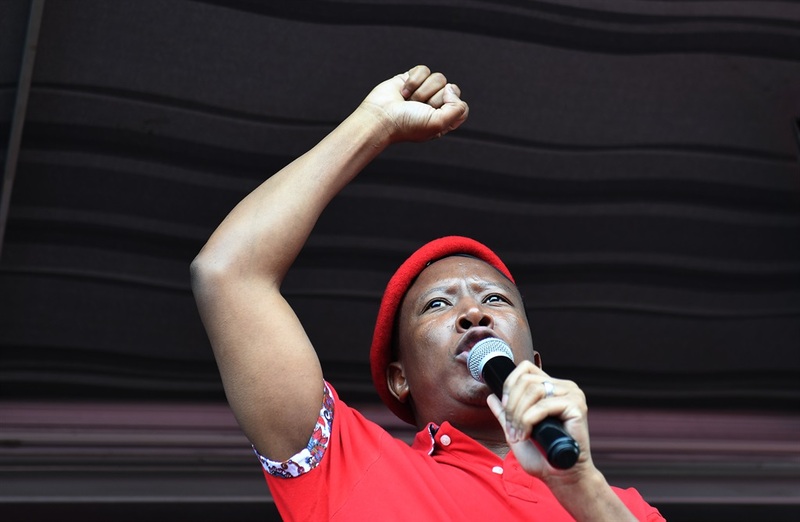 During his political campaigns in the past, Malema reiterated and warned his supports from tearing posters or burning t-shirts and flags of other political parties.